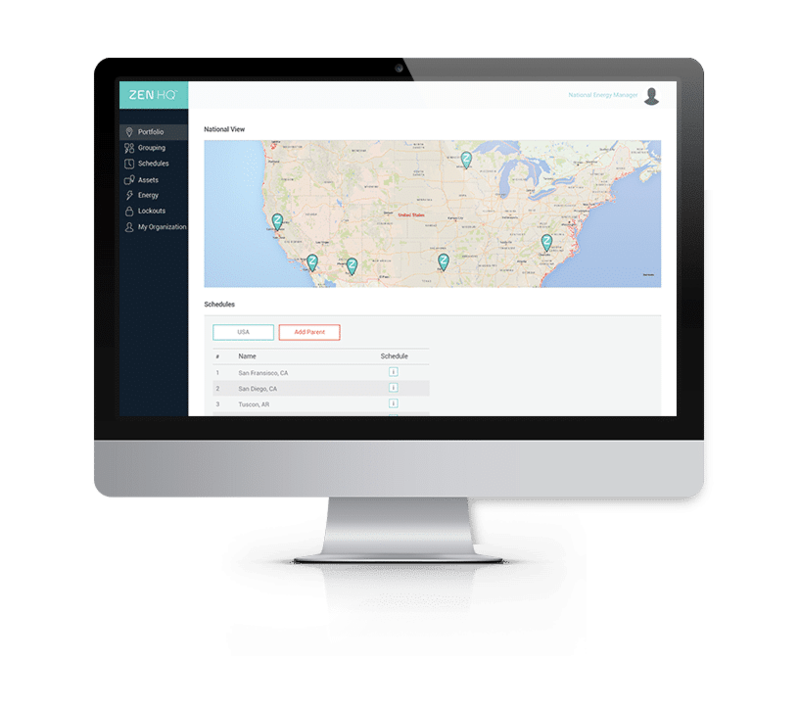 Zen Ecosystems has announced the launch of Zen HQ, a simple and cost-effective energy management solution. Zen HQ has been designed for enterprises with multiple locations using a connected platform which reduces annual energy bills by as much as 30%. The US EPA estimates this country’s commercial buildings waste approximately $60 billion in energy costs annually. Of the 5.5 million commercial buildings in the United States, less than 20% have installed energy management systems to monitor and manage energy use to contain those costs. “Energy costs are rising and are not likely to drop. While new technologies and renewable energy sources are gaining in popularity, energy efficiency remains the easiest — and single most cost-effective — way to cut energy use. The most energy-efficient buildings in America — those that have earned EPA’s ENERGY STAR — use 35 percent less energy than typical buildings, all without trade-offs in performance or comfort. According to Zen Ecosystems, many businesses steer away from adopting energy management systems because of high costs and complex deployment and management processes. Zen HQ overcomes these obstacles with a simple energy management solution designed for easy installation and powerful control over HVAC and lighting costs across multi-site operations. Leading retailers, telecommunications providers, utilities and energy partners are implementing Zen HQ for smarter controls, building automation, demand management and improved energy efficiency. Initial deployments include a rollout with National Stores, a California-based retailer with more than 350 locations across 22 states, with several more major customers to be announced in the months to come. Intuitive scheduling. 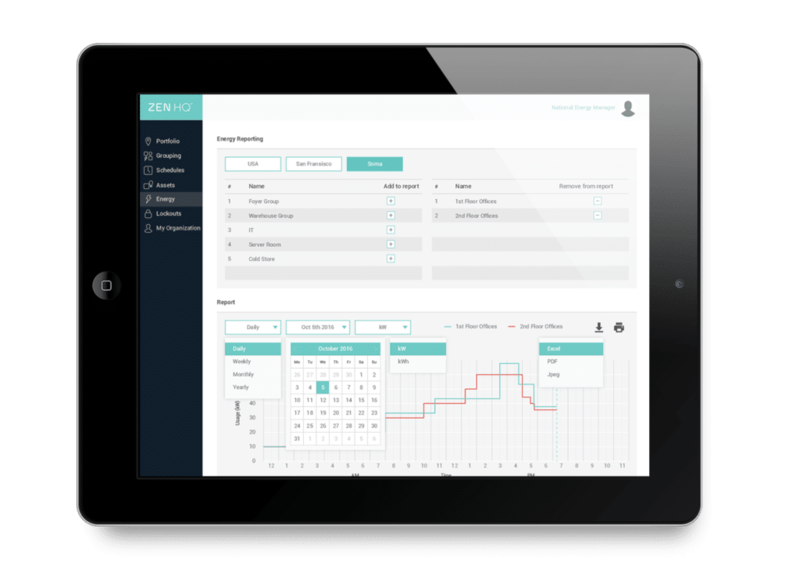 HVAC and lighting scheduling is easy with a simple scheduler similar to Google Calendar. Energy managers can use simple drop-down menus to assign schedules to groups or individual locations in 15-minute increments. Lockout controls. Local overrides on energy settings are one of the top reasons energy management systems fall short. Zen HQ reduces interference while maximizing comfort with preset heating and cooling schedules via partial or full lockouts. Notifications in up to 15-minute increments flagging potential issues (e.g. temperature exceeding scheduled set point, units consuming highest amount of energy). Painless installation. Zen HQ controls HVAC via the elegant connected Zen Thermostat and connection to lighting controls, meaning installation does not require building a completely new network and can be completed in less than a day. Most energy management systems require complex installations that disrupt business. Demand response. OpenADR certification and utility integrations mean customers can automatically participate in demand response and energy efficiency programs to slash electricity costs during times of peak demand. Integrated monitoring. Zen HQ presents heating, cooling, lighting, and energy usage in a dynamic visual graph across single or multiple sites. Access anywhere. The Zen HQ platform is optimized for computers and smart devices, providing energy managers with control over their facilities from anywhere, at any time. Earlier this year, Zen Ecosystems won a contract to provide demand response capacity with Southern California Edison to replace the energy lost in the Aliso Canyon methane leak using Zen HQ and other solutions. The company reports its Zen Thermostat is the highest-ranking smart thermostat on Amazon. We anticipate reporting more about commercial energy management solutions.